Dr. Silver is a true professional doctor who goes above and beyond. I am so happy that I found him! Iforgot what it was like to have a great doctor who quickly answers emails and return calls. He stays very involved with his patients and has such good energy about him. I am going to not only use him for many years to come but will also talk with him about who I should use for other specialities. Thank you Dr. silver! Dr. Silver is a true professional doctor who goes above and beyond. I am so happy that I found him! I forgot what it was like to have a great doctorwho quickly answers emails and return calls. He stays very involved with his patients and has such good energy about him. I am going to not only use him for many years to come but will also talk with him about who I should use for other specialities. Thank you Dr. silver! Morris Silver is an experienced and accomplished gastroenterologist treating his patients in Beverly Hills, Garden Grove and Buena Park, CA. Dr. Silver is certified by the American Board of Internal Medicine, and is certified to practice gastroenterology. He is a member of the American Gastroenterological Association and the American College of Gastroenterology. Dr. Silver attended the State University of New York’s Downstate Medical Center. He then completed his gastroenterology fellowship at the New York Medical College. Dr. Silver has over 20 years of experience practicing gastroenterology and welcomes patients to his office to receive procedures such as colon cancer screenings, endoscopies and colonoscopies. He provides the highest quality care to patients who are suffering from gastroenterological ailments, such as Crohn’s disease, ulcerative colitis and irritable bowel syndrome. Very good meeting; he was sincerely interested in my issue, and took the time to talk to me about it. Dr. Silver is an excellent doctor who truly cares about his patients. Nothing but positive things to say about Dr. Silver and his staff. Dr. Silver cares about his patients. He is throw in his treatment. He spends time getting to know you and asks very detailed questions in order to help treat you. He is available after hours and communicates in a timely manor.I will be a long time patient of his. Doctor cared more about which state my phone number is from and what type of job i do and literally spent 5 seconds trying yo assess my condition. Very friendly manner, inspires confidence. Very knowledgeable and good at communicating what you need to know as a patient. Helpful with referrals and such. I've seen two gastroenterologists before Dr. Silver...and my search is over! Great staff and an equally great doctor. Dr. Silver is an excellent doctor, he put me at ease, answered all my questions, and was very thorough with following up after my procedure. His staff is friendly and helpful as well. I was worried about my result after ultrasound and requested for a call from Dr. Morris Silver and he called me back right away. He explained that I don’t have to worry about. I just misunderstood the situation. Thank you for taking a time and answering for my questions. I thought he was thoroughly professional, kind, knowledgeable and he made me feel at ease. We agreed on a follow up treatment which will take place next week. I also appreciated his knowledge of, and reference to my insurance, and whereI could best take advantage of it. Seems like a real find. Spent about ten minutes in with me and gave me a sample of probiotics and for that he charged my insurance an obscene amount which they refused to process and he has invoiced me 8 months post the office visit. Great doctor and really nice person. Dr Silver spent so much time with me explaining what he thought the problem was and what the next steps are. He was caring, empathetic, and professional. He went out of his way to make me feel comfortable. I highly recommend this physician! He is truly one of a kind! He's knowledgeable, confident & has a great sense of humor. I really liked him. First impression was great! All of his great reviews were right on point. He diagnosed my issue within minutes where other drs ignored my symptoms and concerns. So happy I went to see him today. Informative and personable. From my initial appointment, I think he is a very knowledgeable doctor. This guy is great. Total class act. Really listens, makes you feel heard and seen, not rushing you out of there or in a hurry to push prescriptions on you. All the good doctor stuff. 100% recommend. Friendly, thorough, non-judgmental. Glad I chose Dr. Silver! Got in and out quick with wonderful, caring service! Loved meeting with Dr. Silver - he was kind and knowledgeable, answered all of my questions. He's also super open to working with your insurance (or lack thereof) and provided great recommendations for someone on a budget. Very Friendly, he has great bedside manner which most physicians lack these days. He was very comforting and knew what he was doing. Felt great and like I was being well cared for leaving the office! Dr. Silver is quick witted and really listens to the patient. He, also, explains everything in detail, so the patient can understand exactly the course of treatment. I would recommend him to any of my friends and family. Staff was great. Dr. Silver came to see me right away and was incredibly helpful and patient throughout the whole visit. I'm thankful to have found a doctor like this in the Los Angeles area, would definitely recommend! Dr Silver was great! He was very personable and professional. It's hard to find a doctor that is available for the patient like he is these days. I'm definitely going back and so is my family. He is one of the best doctors I have seen. He is efficient and thorough. He is also very welcoming and is eager to treat your symptoms right away! Definitely coming back to him! 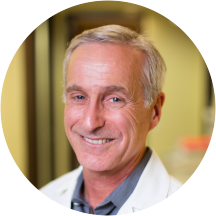 Dr. Silver is obviously one of those rare individuals who absolutely loves his profession and has the utmost regard of his patients in mind! He is brilliant, approachable and genuine in his bedside manner. He is respectful of his patients -if you have to wait a wee few minutes more than normal, you understand that you, too, may make someone else wait because of the questions you have about your care - and appreciate their willingness to wait while Dr. Silver provides a level of care and consideration rarely found. I have been suffering with a painful and scary condition that was never fully explained. Although we still have some additional scientific enquiry to complete, I feel so very thankful to have found someone of his competence! Highly, highly recommended!!!! He figured out what two ER visits couldn't and even checked in via email after to see how I was progressing. I feel reassured. I got question answered and my situation is taking cared of. He was professional yet personable. He listened to my issues and was very compassionate. I felt very comfortable and would highly recommend him to everyone that needs a GI Specialist.